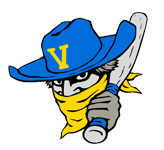 The bats were busy at Apodaca Park on Tuesday, and when the dust cleared the Las Vegas Train Robbers (11-20) had a 16-9 win over the Las Cruces Vaqueros (10-24). The teams totaled 26 hits in the game. 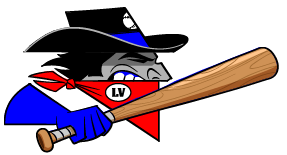 Thirteen runs in the first three innings helped the Las Vegas Train Robbers blow out the Las Cruces Vaqueros. A hit by pitch, , a three-run double by Jordan Caillouet, and a groundout by Alex Miden during the first inning and an RBI single by Tyler Shannon and a two-run double by Neil Madsen in the second inning helped the Las Vegas Train Robbers put some runs on the board early. The Las Vegas Train Robbers were led by a flawless day at the dish by Steven Taft, who went 4-4 against the Las Cruces Vaqueros pitching. He singled in the second and fourth innings and doubled in the third and sixth innings. Miden recorded his first win of the year for the Las Vegas Train Robbers. He allowed three runs over four innings. He struck out three, walked four and surrendered three hits. Kyle Cross was charged with his fourth loss of the year. He allowed nine runs in 1 1/3 innings, walked two and struck out none.